 Who is HBR and how can they benefit you? HBR Healthcare dba. Hospital Bed Remanufacturing, is a manufacturing and warehousing facility located in Liberty, Indiana focusing on providing the highest quality Hill-Rom electric hospital beds and complementing patient room furnishings to the healthcare industry with a high degree of value added savings. The healthcare industry overall has many different demands and requirements in patient care equipment and HBR has developed economical opportunities addressing the needs of either hospital patient care or the long term resident care industries. HBR was established in 1986 when Hill-Rom made a decision to focus their marketing efforts on the hospital market and new product lines. They spun off their remanufacturing process for the long term care market, known by many as their Walnut Street Division, and HBR was formed to fulfill the demands of this growing need within the industry. Hill-Rom worked closely with HBR to establish the remanufacturing procedures, product specifications, and quality guidelines necessary to obtain Hill-Rom's endorsement of HBR's remanufacturing expertise. HBR prides itself in their ability to provide the long term care industry with a cost effective method to upgrade their facilities with all electric hospital grade beds at a cost very competitive with good quality manual beds. In 1996 HBR purchased Medical Retro Design who was established in the hospital market as a refurbisher of late model Hill-Rom hospital patient care beds. The term refurbishment was used to signify that MRD concentrated on refurbishing bed frames that the hospital already owned. MRD also designed and built cost effective technological options like in bed scales and communication packages for these beds. HBR's high volume, original equipment Hill-Rom remanufacturing process and their ability to obtain and warehouse a large number of pre-owned beds was a perfect solution for hospitals that were unable to pull their beds out of service to be remanufactured and have the latest technological advancements installed. Now it is even more cost effective and economically attractive to have your current equipment remanufactured and/or upgraded to a more feature packed model with the new technologies. To learn more about the term remanufacturing and what this procedure consists of, click here. We've all heard the old expression, "they sure don't build them like they use to." Over the years original equipment manufacturers have been forced to incorporate new technology in raw materials and components used to manufacture their products to defer escalating costs. A good example is when the price of steel goes up, the thickness of the steel used in a product is often reduced or completely eliminated and replaced with plastics. Earlier model Hill-Rom bed sleep surfaces were constructed from 1/8" thick high carbon angle iron that is virtually indestructible. Many of the sleep surfaces you will see manufactured today are constructed with thin roll formed mild sheet steel that is less costly and much easier to bend and form in manufacturing. This does help to control cost but unfortunately these components are also much easier to bend and become malformed when in service. HBR Healthcare salvages and restores these reliable, virtually indestructible bed frames for use in hospitals and discriminating long term care facilities that demand the highest integrity of a proven product. This is one way HBR assures you that your purchase of remanufactured capital equipment will prove to be a wise investment for many years to come. As times change and the level of skilled care increases in the long term care and rehabilitation industry, the need for affordable electric hospital grade beds has grown. Now with HBR's remanufacturing capabilities not only are electric beds affordable, but provide complete therapeutic positioning and reliability that only a Hill-Rom hospital bed can provide. Caregivers have even reported as much as an 80% reduction in back strain related workman's comp. staff injuries after investing in remanufactured Hill-Rom electric beds. We've never had a customer say they wanted to go back to the manual lifting and cranking required by their old beds.